Pulsars are rapidly spinning neutron stars. Neutron stars are small, massive objects that form when a large star explodes. 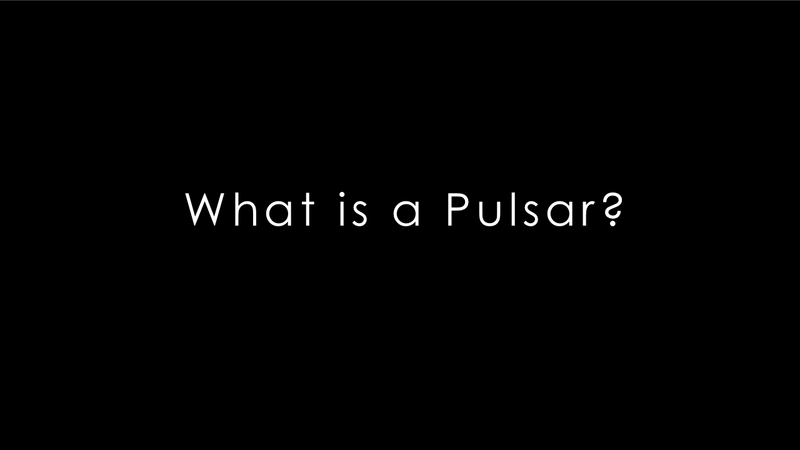 Because they are so small (about the size of a city), and massive (more massive than the Sun), the physics that occurs near a pulsar is much different than the kinds of physics we can study on Earth. In short, they're weird! To find out more about neutron stars and pulsars, check out NASA's Tumblr post about these fascinating objects! Most pulsars in seen only at radio wavelengths. Young and powerful pulsars are visible in gamma rays. Surprisingly, about half of these are seen ONLY in gamma rays. The gamma rays Fermi sees (magenta) come from a distance away from the pulsar, while radio emission (green) comes from nearby the pulsar at the magnetic poles. And here's another NASA Tumblr post about five famous pulsars. Fermi sees three of these! If you want to find out more about gamma-ray pulsars, check out the Fermi Pulsar Science page. Or you can dive into the news articles listed below.